If you like to ride in style, you can’t settle for just any car. Head to Alabama, where you’ll discover features and amenities in luxurious cars that make any ride a comfortable one. Find your new dream ride at one of these 10 best luxury car dealerships in Alabama. When you think luxury, one name comes to mind: Porsche. This dealership is dedicated to offering best in class Porsche models to suit your driving style. You can also find quality previously owned models to help your taste fit your budget. This car dealership is dedicated to previously owned, high-end models from makers like Lamborghini, Audi, Land Rover, and other brands. They only accept the best, so you can rest assured you’re getting a quality car that still has a lot of miles left in it. Not only is driving a BMW so much better than a non-luxury car, it’s also more fun. Sporty, fast, and stylish, there’s no better way to get from A to B. BMW has locations in Tuscaloosa, Birmingham, Montgomery, and Mobile. If you’re more of a luxury-on-a-budget driver, head to Birmingham Luxury Motors. Their huge selection of previously owned inventory means you can score all the features and amenities you want at below retail price. Their selection changes frequently, but they’ve been known to have BMW, Infiniti, Porsche, Lexus, and Jaguar on their lot. This premium, previously-owned dealership features three locations in Alabama, which means three times more luxury inventory to choose from. They frequently carry makers like Cadillac, Lincoln, and Mercedes, among other brands. If you’re looking for quality and value, World Class Motors features plenty of both. They carry luxury brands like Mercedes-Benz, Maserati, and Lexus, among others. Featuring top brands like Porsche, Lexus, and Mercedes-Benz, this used car dealership likely has a ride to suit your style. 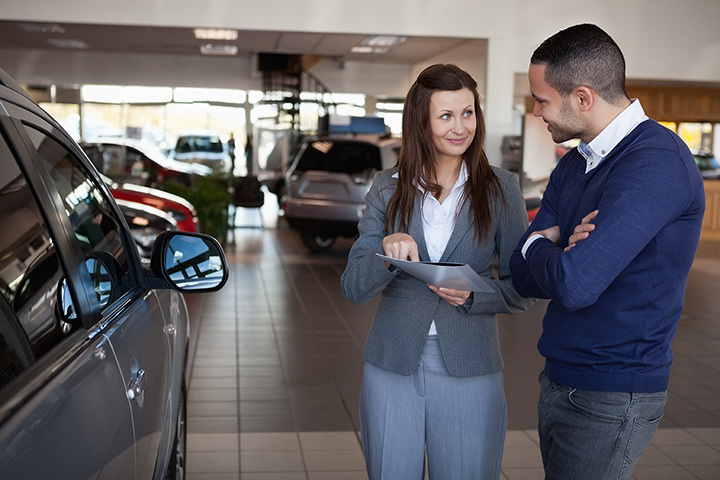 Their fans love them for their quick buying process and awesome sales staff who take the pain out of buying a car. If you’re dedicated to the Land Rover brand, you’ll find a huge selection of new and certified pre-owned models at Land Rover in Huntsville. They’re also your one-stop shop for maintenance and parts to keep your shiny new car riding like a dream. There’s nothing quite like the new car smell, and driving a luxury Infiniti only makes it sweeter. Brewbaker Infiniti features a full suite of shiny new models and certified pre-owned models to fit your budget. Buying new gives you the flexibility to get exactly what you’re looking for in a car. Though not dedicated exclusively to luxury cars, this dealership knows what it takes to ride in style. Their lineup of brand new Cadillacs means you can be as picky as you want when choosing the perfect car. They also feature a huge variety of certified pre-owned vehicles from other luxury brands, like Buick, Cadillac, and others.